A-Frame Signs are an effective way to advertise your message. They are ideal for advertising on sidewalks. These elegant sidewalk signs will ensure your message is seen by anyone who walks by. 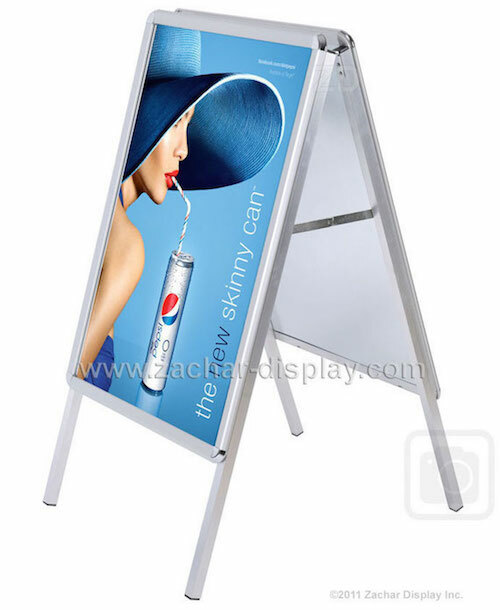 A-Frame Signs are double-sided sandwich boards, available in both aluminum and wood. The aluminum models are equipped with poster frames - snap frames and the wood models have integrated high quality chalkboards. Our sidewalk signs are ideal for businesses on busy streets that are looking to attract customers through reliable displays. They are easy to use and a great value.